Welcome to YOUR Money Mindset Makeover. Today I’ve invited an expert to help YOU “Fall back in love with money and life” Whatever your money stories are, we’re about to help you take a giant leap into shifting them by getting into the nitty gritty….the REAL reason behind debt and giving you the EASY way out. 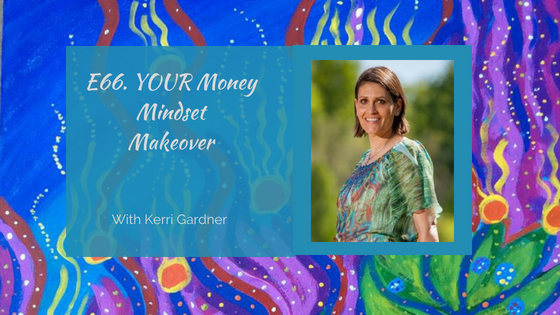 Our guest today is Kerri Gardner the LOVE money coach. Kerri is an Author, Speaker, wife of 22 years to her best friend Trevor, and mother of their 3 amazing teens. Kerri works with overwhelmed men and woman who struggle in their relationship with money and how it impacts their daily lives and with those to whom Money is a constant worry adding stress to their daily mindset. Kerri’s ONE ON ONE and Group Coaching, helps men & woman apply actionable steps to manage & grow their money PLUS eliminate their debt working for an end result of a better relationships with money, releasing fear and resentment. These men & woman no long struggle with money, they achieve their personal, professional and financial goals.